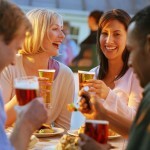 ***Win MPA beer & goodies! **** COMPETITION!!!!!!!!!!!!! 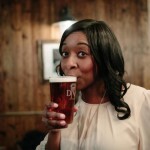 Remember I brought you the highlights of the launch of JW Lees’ new Manchester Pale Ale (MPA) a few months back??? 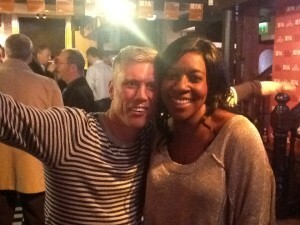 Don’t tell me you forgot how the legendary Bez from the Happy Mondays and I tripped the light fantastic? Well check out this article and video again here to refresh your memory. And speaking of refreshing, keep reading to find out how you could be in with the chance of winning some MPA beer and some groovy little MPA goodies to boot!! To celebrate the launch of the latest edition to its beer portfolio, MPA (Manchester Pale Ale), independent Manchester brewer J.W. Lees has teamed up with me to give five lucky winners a proper Manc goodie bag. Worth more than £30, you’ll go mad for it! Each goodie bag contains a variety of items including sunglasses, earphones, a top book filled with photography from around Manchester and a bar blade. Each winner will also receive a gift box comprising a grip glass and two bottles of the thirst-quenching beer. MPA has characterful flavours that embody the very essence of Manchester – alternative, distinctive and proud. The fresh flavour is achieved using a balance of Liberty and Mount Hood hops with British pale ale malt, which results in a beer style that is refreshing with zesty and fruity hop flavours and golden colour. 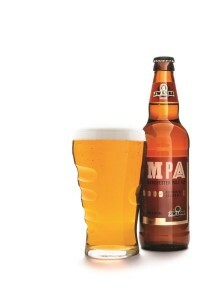 MPA is available in bars and pubs throughout the UK on draught at 3.7% ABV or in 500ml bottles at 4.1%. For a chance to win this mint prize, simply email your answer to the below question to jwlees@tangerinepr.com. Please include ‘Beer Beauty’ in the subject line. Which indie rock band was formed in the same city as MPA?